Brylee's sweet friend Collin always had a Halloween Party tonight. 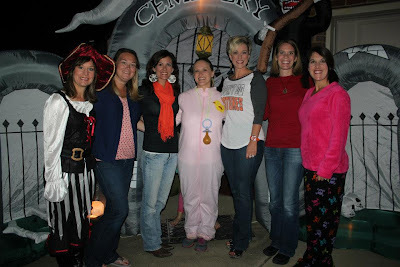 After we finished AG in Atlanta we headed home to get ready for her Halloween Party! Let me just say the older your kids get the harder it is to find cute Halloween costumes. They are either cheap and ugly or short and skimpy... not easy for this tween age! So, Brylee decided she wanted to wear a tutu as part of her Halloween costume and at first she wanted to be a lady bug but we could not find a cute red tutu but we did find this cute pink and turquoise one so we decided we would be a butterfly! I think she is a pretty cute butterfly if I do say so myself... and considering GoGo put this whole costume together in a matter of minutes; she looked good! Kim out did herself... the food was so cute and yummy! we always get pictures of the kids together but we never seem to remember to get an adult shot... I am glad we did... I love these moms so much and am so thankful for them and their babies! 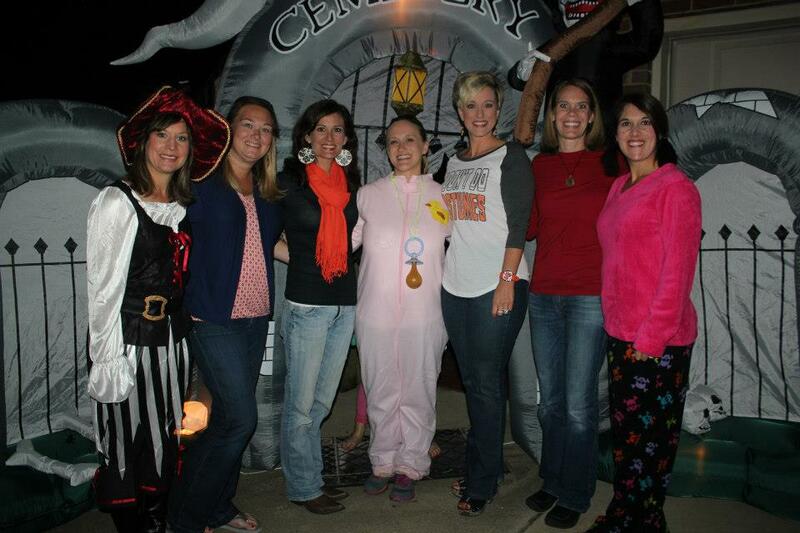 Fun times at the Halloween Bash!!! !